Under state and federal rules, some regulated healthcare facilities must coordinate their emergency planning with their local emergency management agency. This document is intended to aid facilities in creating and/or evaluating an emergency operations plan (EOP) that meets or exceeds the expectations and requirements of local, state, and federal agencies. For more information about what types of emergency planning is required for your type of facility, review the Texas Administrative Code (TAC), Title 40 Part 1 Chapter 19, Texas Health and Human Services Licensing Standards for Home and Community Support Service Agencies (LSHCSSA), Subchapter C, Division 3, Section 97.256, and the Centers for Medicare and Medicaid Services (CMS) Emergency Preparedness Rule. Requirements vary based upon the facility type and from whom the facility receives payment (i.e. private pay, state, or federal). For assistance with understanding your facility’s planning requirements or the checklist, contact the Southeast Texas Regional Advisory Council (SETRAC), which serves as the Houston-Area’s local hospital preparedness coalition. If it is listed as “FULL” you are in the City limits. If listed as “LIMITED” or “NONE”, you need to contact your local emergency management agency. This may be a neighboring city, or, for unincorporated areas, the County. 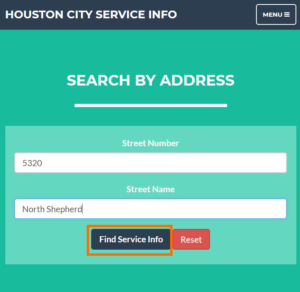 To find your agency by ZIP Code, visit, visit readyhoustontx.gov. It is your responsibility to ensure that your plan meets all state and federal requirements, and that it effectively meets the needs of your individual clients. 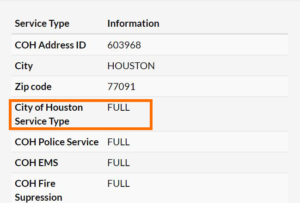 To coordinate with our office per the state requirement, please email your plan to info@houstonoem.org.